If you don't have a playful personality and an appreciation for art, this tour is not for you. Our guide, Rocket Man Super Hero Sort Of, was phenomenal! Great local info and fun ways to draw in the locals. 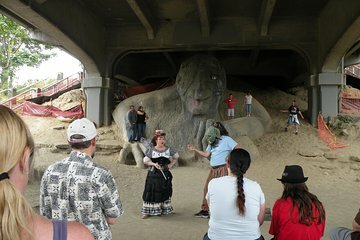 highly recommended as a unique way to experience Fremont!